The purpose of the AWRA is to provide a broad range of recreational and leisure activities for persons of all ages that reside in the area. 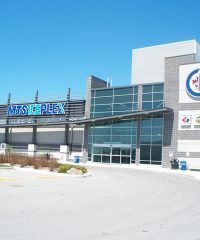 Local Winnipeg community centre offering skating, health and fitness programming, and hall rentals for socials, weddings and other special events. Bronx Park Community Centre Ice Skating Rink is an outdoor rink and open seasonally from around December 15th to February 28th (weather permitting). Champlain Community Centre is a vibrant neighbourhood club in Winnipeg’s Norwood Grove. Our community centre offers sports, activities and events programming. Volunteers are the heart of Champlain.